Data reveals motor vehicle collisions are the leading cause of injuries in the country. The National Highway Traffic Safety Administration (NHTSA) reports there are more than 6 million car crashes injuring over 2 million people in the United States each year. Fortunately, most car crashes are pretty straight forward and result in only short-term injuries and minor damage to the car. But even a seemingly minor injury can become long lasting or permanent. 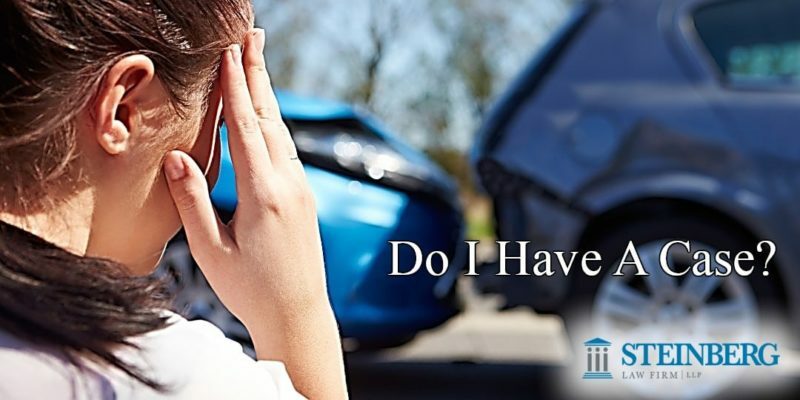 If you have been the victim of a car accident that left your car damaged or totaled and left you with injuries and/or permanent disabilities, and medical bills, it is important that you talk to a car accident lawyer to learn about your legal options for obtaining compensation. If the driver who caused the accident is uninsured, you can sue to recover compensation. Unfortunately, many drivers who do not have proper insurance will also not have the assets to pay if the lawsuit ends favorably for you. If that is the case, you can look for other sources of compensation. For instance, if the other driver was on the job, you can pursue compensation from their employer. Or, if the accident is found to be caused by a mechanical malfunction, such as break failure, you may be able to seek compensation from the car manufacturer. You should also take a careful look at your own insurance policy. It is wise — and in some states required — to purchase uninsured and underinsured motorist coverage, which will pay compensation for your injuries if the driver responsible has no or insufficient insurance. If you are involved in a car crash that results in serious injuries, substantial medical bills, lost wages and vehicle property damages. If the insurance company gives you the runaround about your property damage claim or denies your claim outright. When there are aggravating circumstances such a drunk driver or a hit and run. When the other driver is uninsured. When the insurance attempts to claim that you were partly at fault for the collision and, therefore, should recover only part of your damages. The most important guideline to follow is not to sign any documents releasing the other driver or his insurance company until you are completely recovered from any injuries. Signing a release means that you are releasing any injury you know about or do not know about, that has happened in the past or may happen in the future. A simple whiplash injury can cause a disc injury in your neck that can worsen and later begin triggering nerves causing pain, numbness and tingling in your arms down into your fingers. That is why you have to wait until you have completely recovered before signing a release. Signing that release too soon will give up your right to bring a lawsuit. For most accident cases you have three years to bring a lawsuit. Another important rule to follow is to make sure you tell your doctor about all of the injuries you sustained. Too often a person injured in a car crash will focus on the injury causing them the most discomfort at the time, like a broken bone or a severe bruise, and they will fail to mention other less severe or bothersome injuries. Even a minor injury may become serious, but it may be too late to seek compensation for it if it was not noted in your initial medical records. 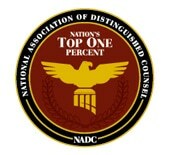 Do not confuse your personal injury claim with your property damage claim. They are two separate claims, often each with a different insurance adjustors. You have the right to settle you property damage claim without having to settle your personal injury claim at the same time. If you are sent any papers to sign for your property damage claim, make sure they are for property damages only. You should document everything, even in case of a minor collision. Keep a record of the dates and times you saw a doctor or a therapist. Keep a record of the mileage to and from the doctor’s office. If your doctor says you should be off work, make sure you get a doctor’s note. Keep copies of any records, instructions or receipts given to you for treatment or for health insurance deductibles. You are entitled to be reimbursed for lost wages even if your employer allows you take sick days. Keep receipts for any prescription or non-prescription medications, bandages, heating pads, analgesic creams or patches you have to take or use. And, keep a notebook of how your injuries impacted your ability to sleep and perform your normal work duties, household chores and other activities. This information will be helpful in deciding whether you should explore the possibility of settling your case with the insurance company on your own or hire a personal injury lawyer. Insurance companies are in business of making money and will often try to pay you the least amount possible. A personal injury attorney at Steinberg Law Firm can work with you to choose the avenue that will secure you the maximum compensation possible in a car accident injury case.